It can be especially difficult for non-native speaking children to start day care because they have to deal with both separation anxiety and language barriers. 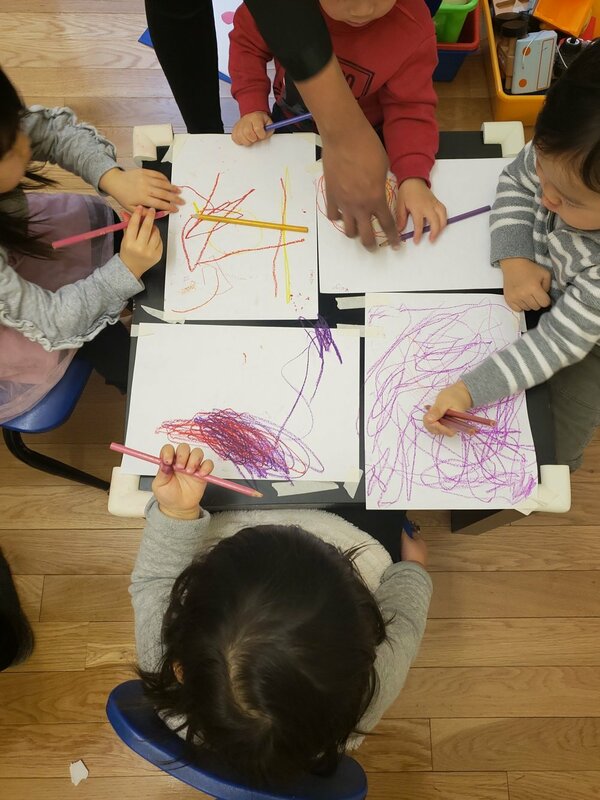 Our English for Toddlers program helps toddlers get used to an American day care by re-creating the environment led by an experienced preschool teacher. In addition, parents can practice talking to teachers via mock parent-teacher conferences and general conversation. Kids will learn English by singing popular American songs. This educational music class is for kids and their moms, dads, caretakers or grandparents. We sing, we dance, and we have a lot of fun learning English through music! Our one-on-one English lessons for kids are fun and interactive. Because the lessons are play-based, your child won't even know they are learning! We also help prepare children for public school, gifted and talented tests, and assist with homework. We also offer Test Prep and Tutoring and Academic Assistance. Whether your child will be starting Pre-School or above, our Summer Camp for English Language Learners will prepare children for the new school year. Language barriers can hurt both a child’s confidence and ability to learn. This 4-8 week course will give your child the chance to improve their communication skills by empowering them with the necessary language skills. We work with school-aged children to help them adapt to the American school environment by providing unique, fun and educational English language lessons. Our innovative play-based curriculum encourages children to link creativity and language learning. Each group class is 45 minutes to 1 hour and integrates school and classroom-based vocabulary with dynamic games and activities. Lessons are once or twice a week, decided by the parents or school. Need someone to babysit your child while you take English lessons? Simply add $15/hour to your hourly rate!